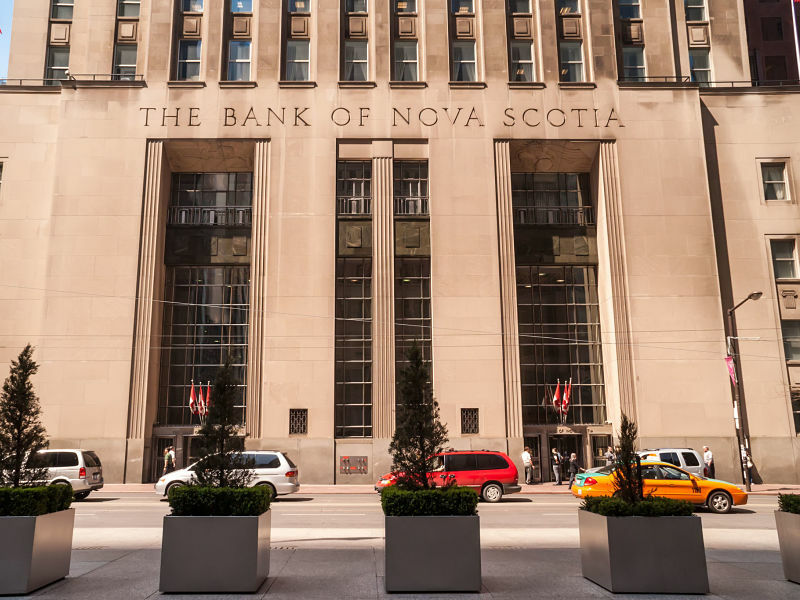 The Bank of Nova Scotia plans to sell its banking operations in nine Caribbean countries and its insurance operations in two other regional markets — and its chief executive expects more international divestments in the pipeline. Scotiabank said Tuesday it has signed an agreement to sell its banking operations in nine “non-core” markets — including Grenada, St. Maarten and St. Lucia — to Republic Financial Holdings Ltd. for an undisclosed amount. The bank also said its subsidiaries in Jamaica and Trinidad and Tobago will sell their insurance operations to and partner with Sagicor Financial Corp. Ltd. to provide products and services in the two countries, for an undisclosed amount. These exits are part of Scotiabank’s broader strategy to “sharpen our focus, increase scale in core geographies and businesses, improve earnings quality and reduce risk to the bank,” said its chief executive Brian Porter. The bank intends to remain in its core Caribbean markets as well as the Pacific Alliance countries of Peru, Chile, Colombia and Mexico, but there are more divestitures on the horizon, he told analysts on a conference call. “We’ve got a couple more to go and you’ll hear more from us in 2019, but they don’t pertain to Latin America or the Pacific Alliance,” Porter said. The divestitures were announced as the Toronto-based bank reported its earnings for the three months ended Oct. 31, capping off its 2018 financial year with a nearly 10% increase in its fourth-quarter profit compared with a year ago, but falling just short of market expectations. Scotiabank earned $2.27 billion or $1.71 per diluted share for the three months ended Oct. 31, up from $2.07 billion or $1.64 per diluted share in net income during the same time last year. On an adjusted basis, the bank reported earnings per share of $1.77 compared with $1.65 a year ago. Analysts on average had expected adjusted diluted earnings per share of $1.79 during the bank’s fourth quarter, according to Thomson Reuters Eikon. Scotiabank is the first of its peers to report its quarterly and full 2018 financial year earnings. Royal Bank of Canada, Toronto-Dominion Bank and the Canadian Imperial Bank of Commerce report later this week. For its full 2018 financial year, Scotiabank says it earned $8.72 billion or $6.82 per diluted share, compared with a profit of $8.24 billion or $6.49 per diluted share in 2017. The bank’s recent acquisitions — including a majority stake in a Chilean bank — weighed heavier on the bottom line than anticipated, said John Aiken, an analyst with Barclays in Toronto. The Toronto-based bank’s latest results were fuelled by its international banking division which saw quarterly net income rise more than 21% to $804 million. For the full financial year, the bank’s international operations saw adjusted earnings growth of 18% on a constant currency basis, Porter said. This was driven by Scotiabank’s operations in the Pacific Alliance trading bloc, which saw double digit loan and deposit growth, partly reflecting the bank’s recent acquisitions in the region, said Porter. The bank has been on a buying spree at home and abroad over the past year, including completing its purchase of a majority stake in Chilean Bank BBVA Chile in July. The bank also earlier this year announced deals to buy Citibank’s consumer and small and medium enterprise operations in Colombia for an undisclosed amount and buy Banco Dominicano del Progreso, which has operations in the Dominican Republic, in August. The next year will be focused on integrating Scotiabank’s recent acquisitions in Chile, Peru, Colombia and the Dominican Republic, Porter said. Scotiabank has the most international footprint among its peers and has been targeting Latin America for its strong growth prospects as activity in Canada slows. The refocusing of its Caribbean strategy stemmed from “increasing regulatory complexity and the need for continued investment in technology to support our regulatory requirements,” said Ignacio Deschamps, Scotiabank’s group head of international banking, in a statement. The bank’s decisions in were guided, in part, by size. Jamaica, for example, has a population of roughly 2.8 million people while the Dominican Republic — where Scotiabank expects to be the number three bank — has roughly 11 million, said Porter. The other markets where Scotiabank’s operations will be sold to Republic Financial Holdings are Anguilla, Antigua, Dominica, Guyana, St. Kitts & Nevis, and St. Vincent and the Grenadines. Royal Bank of Canada will report its Q4 2018 results on Wednesday.